With its welcoming interior painted in bright citrus colors---including a floor-to-ceiling fruit mural---you can't help but crave some delicious salads, smoothies and body-friendly foods when you walk into Healthy Choice Kitchen on Graham Ave.
HCK founder Pinny has a few principals he lives and works by, and they include recipes being passed down through families for generations and bringing authenticity back to health food. That's exactly what he's serving up at his all-natural, made-from-scratch eatery. Looking for a sit down meal or a green snack on the go? This is the perfect spot. * Scroll to the bottom of this post for a special offer for Bushwick Daily readers. When he came to the states, Pinny was a produce supplier for restaurants and supermarkets. He developed a serious penchant for the finest ingredients, and also noticed something was very wrong with most of the places people were eating: the kitchens were hidden out of sight. 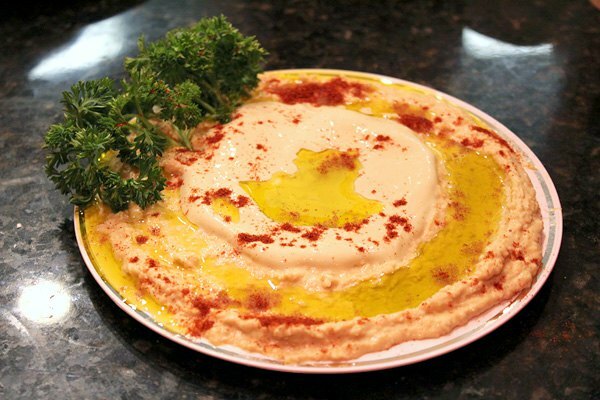 "My dream was to open a restaurant where the kitchen is at the center of everything, in plain view," Pinny told me while carefully sprinkling paprika over a dish of homemade hummus and tahini. 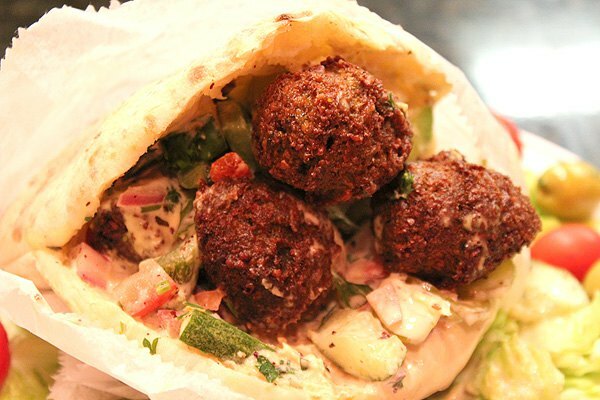 His family carries a long standing tradition of masterfully making hummus and falafel. "So everyone who walks in and orders can see exactly what they're eating and how it's prepared. We grind the chickpeas, we hand pick the spices, our oils are 100% pure. These are traditional family recipes, without preservatives." 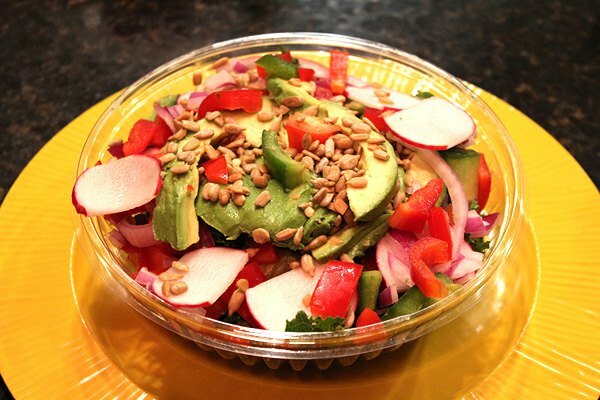 The dishes at Healthy Choice Kitchen are all made with a level of care that's hard to come by in a place where your food is ready to chow down on in such a short time. I watched as an epic marinated chicken shawarma and apple walnut kale salad were whipped up in the open air kitchen and slid across the counter, where I waited with my mouth watering. Pinny is the kind of guy who you hope will invite you over for dinner someday. He cares deeply about feeding people well, and he has a great sense of humor too. 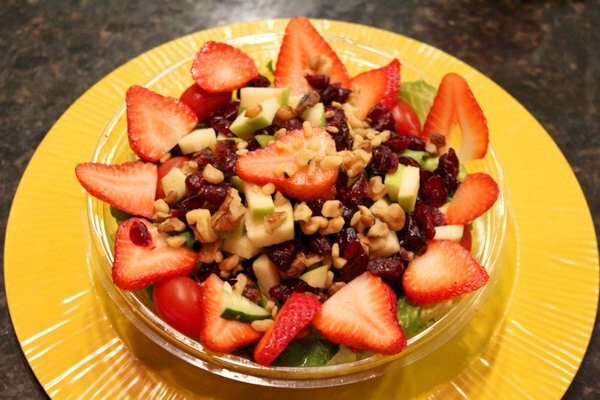 His extensive menu houses a smoothie for Victoria's Secret model hopefuls and a dish called Our "Disgusting Salad?". 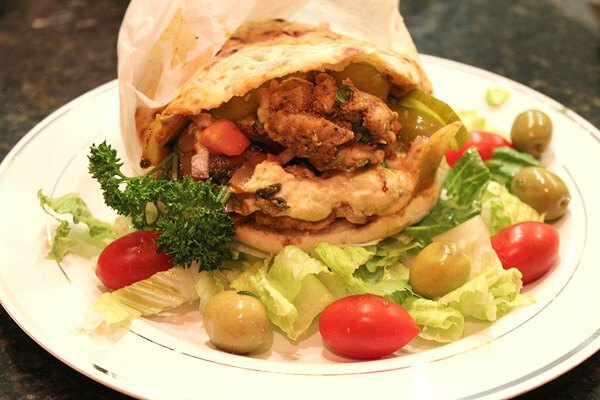 He was also insistent that local vegetarians know he has something for them as well---a selection of vegetable-based dishes and renditions of his favorite offerings like the portobello shawarma and tofu shawarma, which are crafted using his own original recipes. And for the caffeine addict? 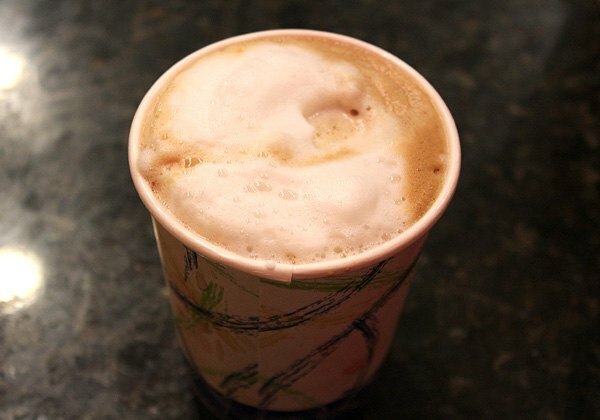 A frothy cappuccino should finish off your meal nicely. 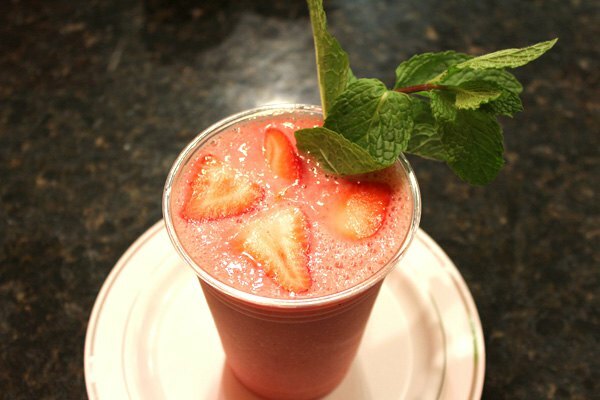 HCK's smoothies are delicious both to consume and behold, with bright colors owed to fresh fruit and vegetables, of which Pinny prides himself on selecting. 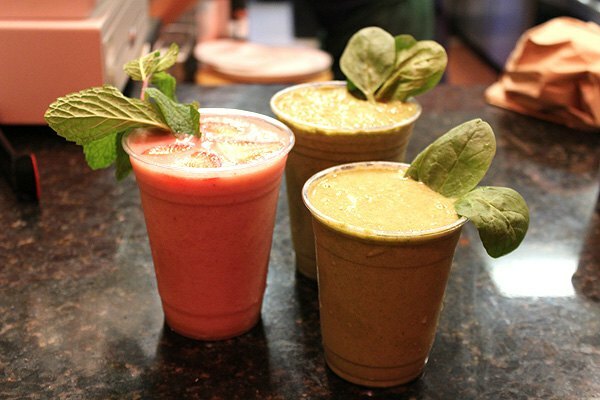 With an all-natural smoothie stand on the Coney Island boardwalk under his belt, Pinny knows a thing or two about the smoothie craze that has our whole borough preferring their meals from the blender. "I watched other vendors on the boardwalk put so many artificial ingredients in their smoothies," he recalled with eyebrows raised. "I vowed never to do that and I never have." 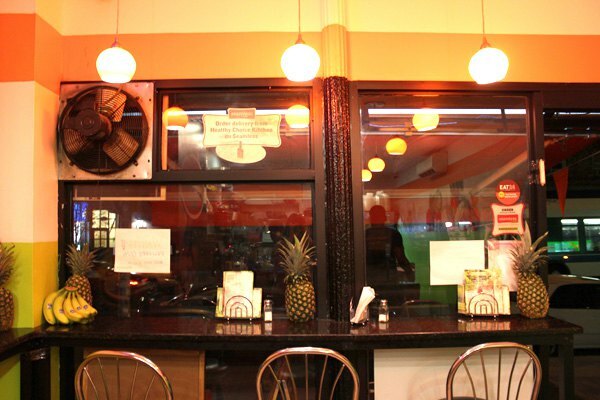 When I asked why he wanted to open his restaurant in Bushwick, Pinny expressed how drastically the neighborhood had changed since he worked construction here about twenty years ago. "It's amazing how it's changed. Unlike before, there's a lot of young people walking on the street---a young generation moving in that are moving quickly away from junk food and craving healthier food." 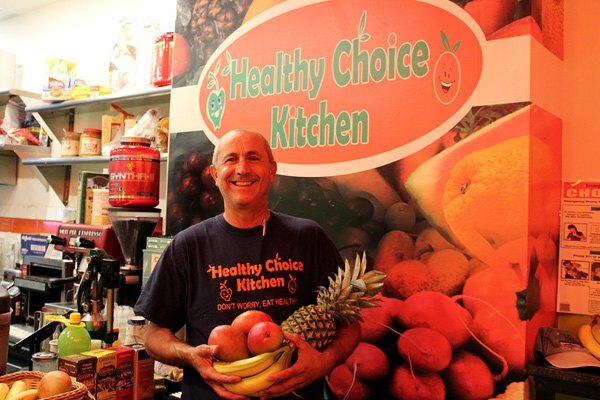 He decided to take a shot and open Healthy Choice Kitchen in 2013. Are you hungry yet? 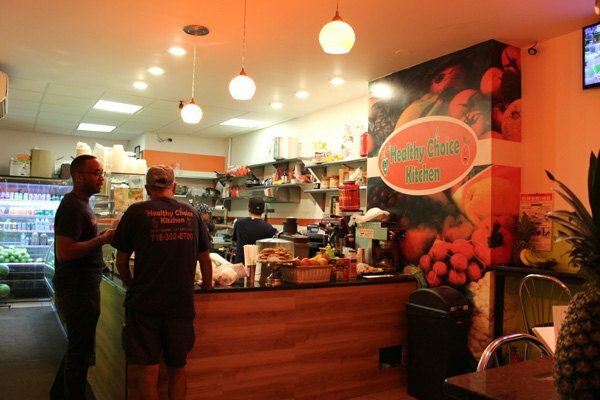 Visit Healthy Choice Kitchen at 194 Graham Ave and mention Bushwick Daily for a special deal designed just for our readers: a falafel for $4.99 and a 12 oz smoothie for $2.99*. *Offer not valid for online orders.